Battlefield 1 takes a huge risk in abandoning it’s more modern/future setting for a step back to World War 1. With the likes of COD IW and Titanfall 2 soon upon us, it’s good to see Battlefield take a big risk…but does it pay off? I was really surprised to hear they were making a FPS set in WW1, something I have long wondered why they haven’t done and after playing Battlefield 1 I still wonder why. It’s without a doubt the strongest FPS I’ve played in years, without a doubt. The campaign tells the story of the war through different perspectives and is truly moving, but also incredibly action-paced and great fun. If you played Star Wars Battlefront last year, you’ll feel right at home with the Conquest multiplayer mode, which takes the attack or defence of space bases to strategic points on the battlefield that you need to either capture or stop the enemy from doing so. The attacking team gets a limited number of lives to do so, but gain more if they capture a whole area. They also get one last support attack if they run out of lives, these can vary from an attack train to a Zeppelin raining down destruction down on you. It’s tough, but without a doubt one of the best multiplayer modes I’ve played in years. Of course, the game comes with the standard Team Deathmatch and so on as you would expect, but Conquest is truly something special. 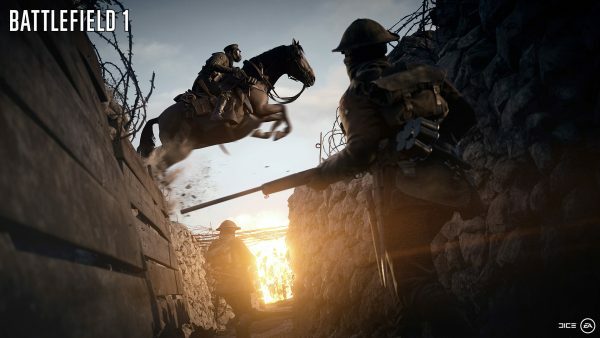 Battlefield has always stood out with its mass of players at one time and BF1 is no different as they allow up to 64 players online, which is still impressive. 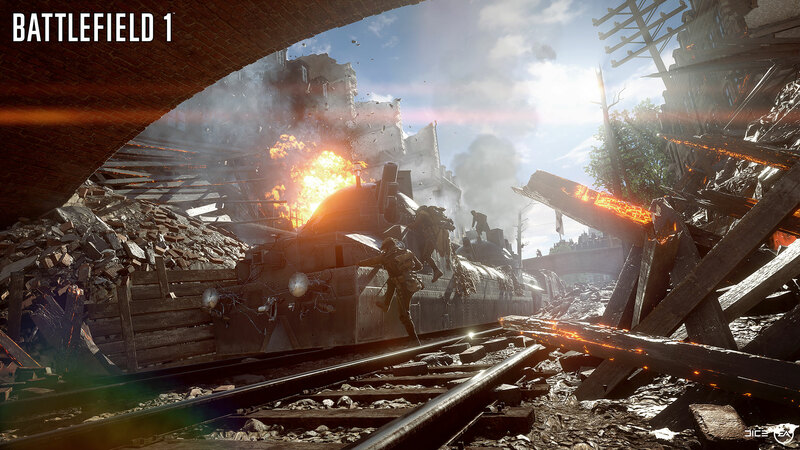 Weapons and vehicles vary in BF1, but there are tons of them to choose from. Vehicles vary from horses, tanks, planes and so on, while weapons vary from bayonet rifles, pistols, flamethrowers as well as turrets, RPGs and plenty more. I was amazed by the amount of weapons and vehicles, to give you a full list would ages…so I would just recommend to try them all. As with past games, you can choose your class as well, so you can either be a more aggressive player or even one who patches up fallen soldiers. After the small setbacks of BF4 and Hardline, Battlefield 1 puts the series back on the map and gives the competition a real problem. BF1 offers a more realistic shooter instead of sci-fi and one that is in some ways, much more welcome. It’s also stunning, running at a solid framerate and incredible destruction that you can cause. The maps are breathtaking and massive in terms of scale, DICE have done themselves proud.